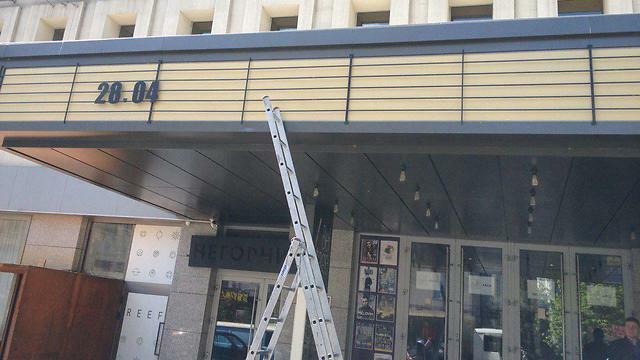 On Holocaust Remembrance Day, a display sign was hung in front of a theater in the capital of Ukraine, in anticipation of a new play telling the story of John Demjanjuk, who was convicted of helping to murder Jews in Sobibor; following the harsh criticism, the theater's managers removed the sign. A new show set to open at the end of the month in the Kiev Theater tells the story of John Demjanjuk, known as Ivan the Terrible, who was convicted of helping to murder Jews in the Sobibor death camp. The sign on the front of the theater was hung on Monday, on Israel's Holocaust Remembrance Day, under the caption Holocaust Cabaret. 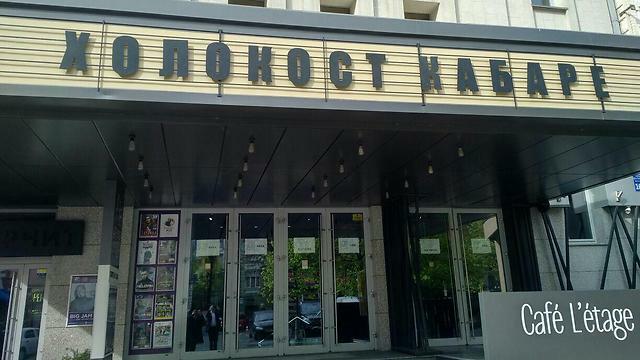 As a result of the subsequent upheaval, the directors of the theater removed the sign and the Ukrainian authorities are considering barring the actors from entering the country. The theater is located opposite a synagogue in the Ukrainian capital. The Chief Rabbi of Ukraine, Moshe Azman, strongly condemned the show: "To see this disgrace hanging in the center of Kiev yesterday, on Holocaust Remembrance Day, in the city where Babi Yar is located and in front of the central synagogue." "In addition, tickets are sold for a Friday show. Who needs this provocation? I don't know, but I'm announcing that we in the Jewish community will do everything to get this provocation out of the way." MK Yoel Razvozov (Yesh Atid) plans to address the Jewish Ukrainian Prime Minister Volodymyr Groysman, for his immediate intervention to cancel the show and remove the sign. "This is provocation. From watching scenes from the play, there is no doubt that this is an anti-Semitic play, even if it is satire," said Razvozov. Demjanjuk was sentenced to death in a trial in Israel, but he was acquitted bythe Supreme Court. 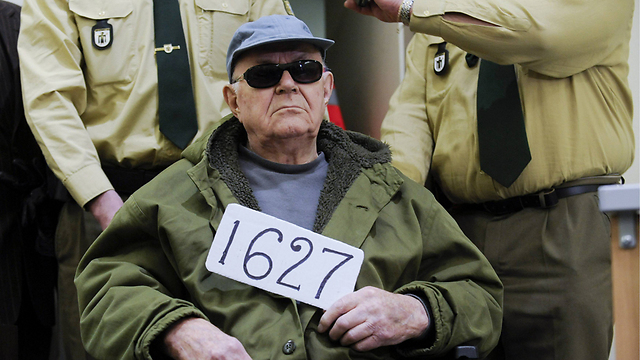 In 2011, he was convicted in a German court and sentenced to five years in prison until he passed away in 2012 at the age of 91.